Kiev will restart importing Russian gas should the $250 per thousand cubic meters price tag be confirmed at the trilateral talks in Berlin on April 13-14, according to Ukrainian Minister of Energy and Coal Vladimir Demchishin. The minister also said Ukraine was seeking to reach a deal with Russia that would last till the end of a 2016 heating season. “We need to sign an agreement not for the second and the third quarters, but till the end of the next heating period,” the minister said Wednesday at a briefing in Kiev. The situation with gas supplies for the next three months is “more or less clear”, but Kiev “needs an agreement,” he said. Demchishin’s statement comes after Russian President Vladimir Putin agreed Tuesday to extend the terms of the so-called ‘winter package’ till the end of June. The deal signed in October 2014 includes a $100 discount. The minister said Naftogaz is buying gas from Europe for about $280 per thousand cubic meters. If Russia reduces the price from the $329 it paid in the first quarter to about $250 in the second, in accordance with the 2009 contract and the discount, gas purchases from Russia will become economic, he added. The ‘take or pay’ provision included in the 2009 contract but annulled by last October’s agreement will remain excluded. “The ‘take or pay’ principle doesn’t work,” said Demchishin. 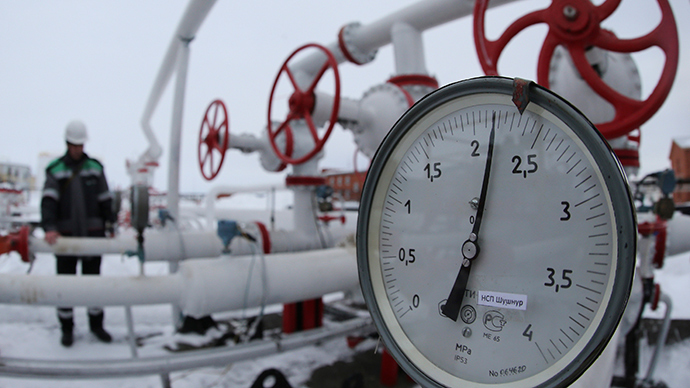 The situation with gas supplies in Ukraine is currently balanced, according to the energy minister. Gas storage is above 7.7 billion cubic meters, with daily consumption at about 110 million cubic meters. The Minister also added that Ukraine gets about 40-45 million cubic meters of gas in reverse supplies daily, and produces another 55 million cubic meters on its own. This is almost completely balancing the demand, Demchishin said.